At the same time that Mercury's first full day in your career sector creates a need to keep your professional hat on, especially with lucky Jupiter now just 2 days away, with the Moon drawing attention to your relationships and a new passion for adventure and a hunger for life's richer experiences kicking in, there'll be some stiff competition. With continuous cosmic activity in your career sector until May 2017, you've got to pace yourself for the long haul, refusing to let professional success come at the expense of having a life. 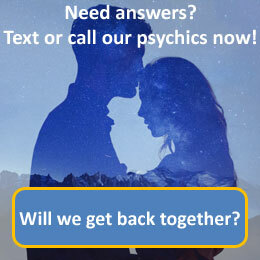 Call 09069 669 609 for a more detailed reading with our psychics today. Sagittarius, the archer, is the ninth astrological sign in the Zodiac, originating from the constellation of Sagittarius. Sagittarius is classed as a positive or masculine, extrovert sign; its element is fire and its quality is mutable. Sagittarius is ruled by the planet Jupiter. Sagittarius usually have a large and well-shaped skull, a high, broad forehead, a slender and well formed figure. They stand high and walk high like a Centaur. They have the tendency to stoop or slouch as if grazing for grass. Sagittarius governs the hips, thighs and sacral area; some astrologers consider Sagittarians as tending to suffer from ailments of the hips and thighs and being prone to sciatica and rheumatism. Traits of the Sagittarius include; adventurous, freedom loving, honest and independent. They can be blunt, careless and impatient.